Juke are the French quartet of Kévin Toussaint on vocals and guitar, Lancelot Carré on drums and percussion, Quentin Rousseau on keyboards and FX, and Théo Ladouce on bass. Atom Experiment is their first album and is nearly 50 minute long, though its referred to as an EP. Sphere is the opening track and starts off as an ambient World Music jazzy instrumental with a pleasant keyboard, acoustic guitar, electric guitar and percussion sound. Vocals join in about halfway through and next thing I know I’m swept into a dreamily lulling song that brought to mind a Prog-like Pink Floyd. The dreamy vibe continues on Wave, though we’re far deeper in space, with trippy guitar leads, strumming acoustic guitar, and alien electronic effects. After a while the band really start to rock out and, again, it makes me think of an accessible and beautifully melodic Space-Prog take on Pink Floyd. But don’t get too hung up on the Floyd reference because Juke really are in their own world. Ditto for White Elephant, which takes off into psychedelically dreamy space, being a mesmerizing and graceful song with a strong early 70s Prog-Psych feel. But the highlight of the set is the epic 28 minute Black Magic. The music starts off very similar to the opening riff of Dark Side Of The Moon, but quickly veers off into a rapidly changing succession of themes, from majestic rocking Prog-Psych to intense concert pianist in acidic swirling space. Then at the 6 minute mark the band settle into a rolling groove as the guitar spits out intense spaced out leads, the piano plays on, and then BANG… we’re rocking in 70s inspired cosmic Prog heaven. But nothing stays the same for very long because soon we’re back in a ballet-like piano driven and beautifully melodic section, and when the guitar joins in I’m reminded of early Camel. At the 11 minute mark we find ourselves in funky Pink Floyd meets 70s Jazz-Fusion territory. 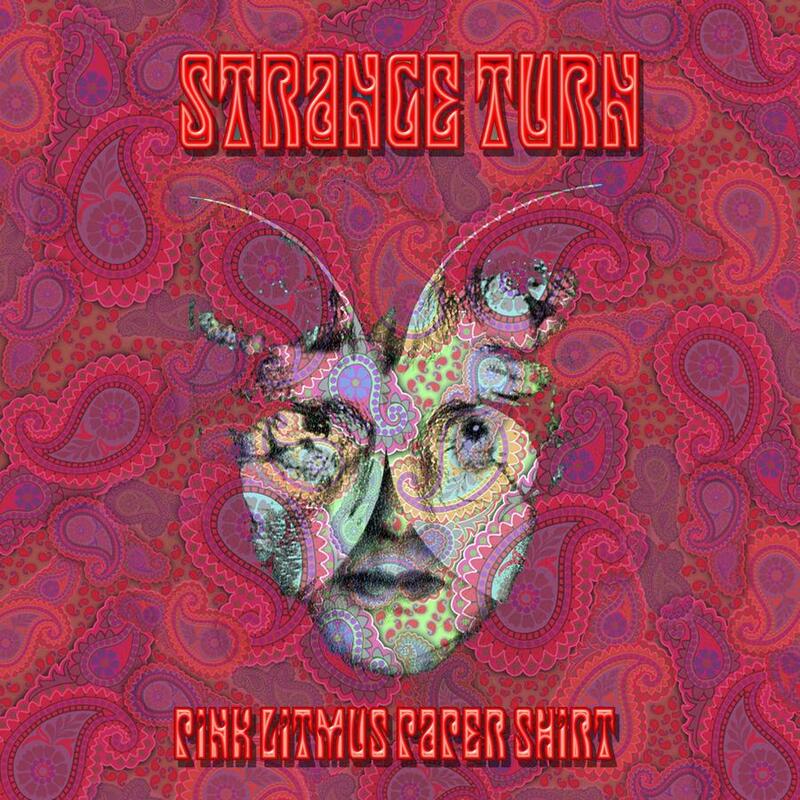 And on we go, continually transitioning through a cavalcade of 70s influenced Progressive Rock and Psychedelic themes, most of which are heavily dosed with a spacey edge. Damn good stuff. This album was released in 2012 so I really hope these guys are working on new music. 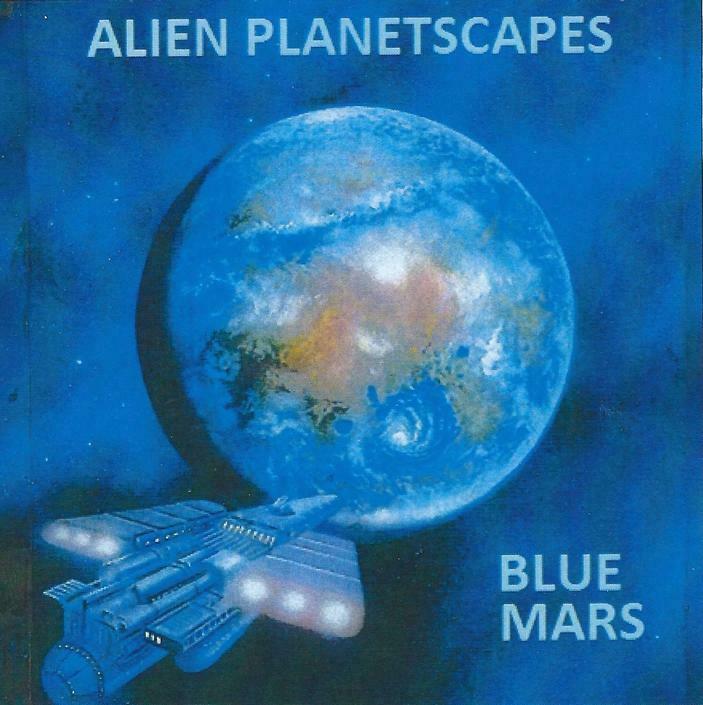 In 2000, a duo version of Alien Planetscapes (AP) – founder and ship commander Doug Walker along with Richard Orlando – performed Red Mars at the Quarkstock Space Rock & Avant Prog festival in Columbus, Ohio. That being my town, I had the pleasure of experiencing this performance. Red Mars was inspired by the first of Kim Stanley Robinson’s Mars trilogy – Red Mars (1993), Green Mars (1994), and Blue Mars (1996). Doug, sadly, passed away in 2006, but his legacy lives on. Richard Orlando recently discovered some sessions that he plans to turn into a trilogy of CD releases, the first of which, Blue Mars, is available now. The 46 minute set features Walker on flute and Orlando on guitar, plus both utilizing an arsenal of synths, electronics and effects – EMS VCS3, ARP 2600 w/ARP sequencer, ARP Odyssey, SCI Pro One, EMU Classic Keys, Roland JP-8000, CMS MR-2… fun, huh? The set opens with dark, windswept planet atmospherics, engine room rumbling and swirling alien electronics, and builds from there. Like the best of the early era AP duo albums, Blue Mars features a cosmic banquet of electronics that come together like a meteor shower, falling stars, comets, and battle in space all occurring at once. We’re also treated to psych Bluesy, Fripp/Pinhas, and rocking freakout guitar leads, and trippy pied piper flute, both of which sound great amidst the alien invasion electronics. I like the heavy guitar presence, which is what mostly sets this apart from the early AP duo electronic efforts. 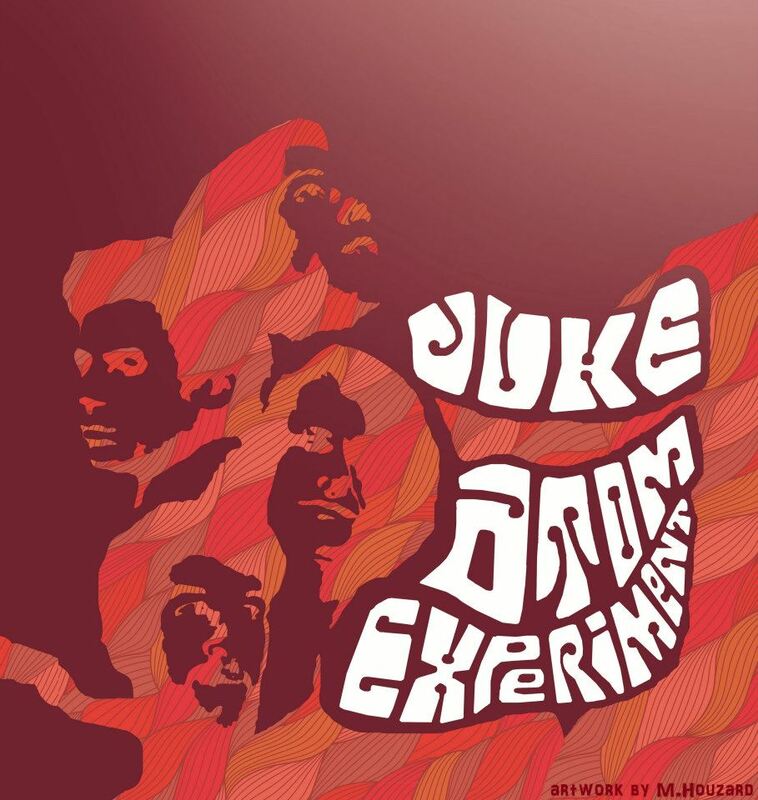 Like the best soundtrack music, we’ve got some seriously image inducing stuff here, and the intensity level is predominantly high throughout, though there are plenty of soundscape and spacey sound experimental segments, as well as mellow moments like Claybourne’s Dilemma, which is a pleasantly dreamy guitar and flute piece. The set is comprised of 18 tracks, mostly in the 1-3 minute range. I noticed a couple comments on the Alien Planetscapes Facebook group that wished there were fewer, longer tracks, that took more time to develop. I’m sympathetic to this, but while so many short tracks is unusual for Alien Planetscapes, after a few listens I found myself mostly oblivious to the gaps and hearing the entire album for the concept piece that its intended to be. NOTE that all proceeds outside shipping will be given to the late Doug Walker’s son Evan. To order Blue Mars, Paypal $12 to Richard Orlando at porcupinejones@yahoo.com. That covers shipping in the U.S. Anyone outside the U.S. should email him first. 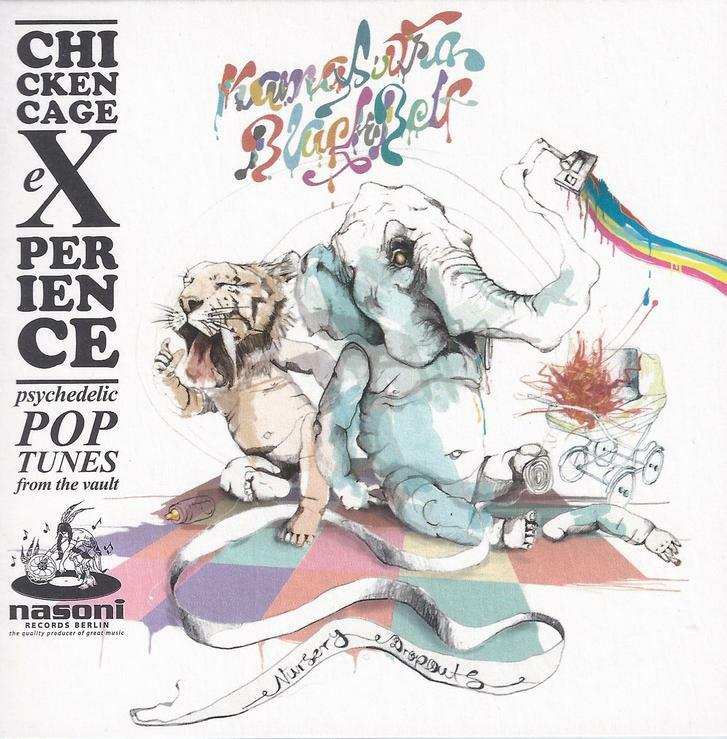 Chickencage Experience is a side project of the German band Polytoxicomane Philharmonie and KamaSutra BlackBelt is their second album. The first album, An Eggspoiltaton Movie, consisted of 6 tracks in the 10-17 minute range that developed from improvisations, and was accompanied by a DVD film of professionally shot images and narration. The new album is appropriately sub-titled “Psychedelic Pop Tunes from the Vault”, as 7 of the 10 tracks on this 47 minute set consist of structured songs in the 2-5 minute range. One of the benefits of the tighter song focus is that vocalists H.M. Fishli and Michaela Flame really shine. Among the highlights is Mayday Sister Mayday, a trippy, spacey, jazzy, rocking song, with great guitar, sax and soulfully psychedelic vocals. Top Secret is similar and I like the deep space atmospheric carnival finale. I dig the dreamy yet rocking spacey psychedelic prog-jazz of Werküken. Shaken Not Stirred has a nice floating feel with its orchestral strings, though it soon breaks out into a heavier rocking song. At under two minutes, An Ocean Full Of Gold is the shortest song of the set but it packs a punch, being a cool and freaky grooving jazz song that conjures up images of a psychedelic lounge for Beats and hippies in tuxedos and gowns. There are three songs that stretch out a bit more, each clocking in at the 8 minute mark. Thousand Miles features psychedelic pop-jazz with a drifting groove and great vocals. Still Flaky But Free starts off as a funky and flowing pop-jazz tune, with fuzz-wah guitar and cool horns. Then it takes off into a killer spacey prog-jazz instrumental workout and includes some of the most soulfully stirring vocals of the set. The album closes with Whitewash, a cool grooving instrumental space-jazz jam, with a great Rhodes keyboard sound and the most spaced out guitar leads of the set. In summary, though KamaSutra BlackBelt is more structured and song focused, there are still plenty of genre bending mixes of music and a playfully joyful sense of fun pervades throughout. If you’re a Polytoxicomane Philharmonie fan who hasn’t yet tried the Chickencage Experience, it’s really not that musically far off. Spiralmaze are a Greek quartet who play a heavily Ozric Tentacles influenced brand of instrumental Space Rock. They evolved from a band called Soundtrap, which played an eclectic mix of Space-Prog, Metal and Electronica. Spiralmaze consist of George Arestis on guitars and synths, Aris Terzakis on bass, Eftihis Chelioudakis on drums, and Jon Mor on guitar. Multiverse opens the set with rocket fueled, Ozric inspired electronica and blistering guitar that is like Ed Wynne at his most rip rocking and most melodic. 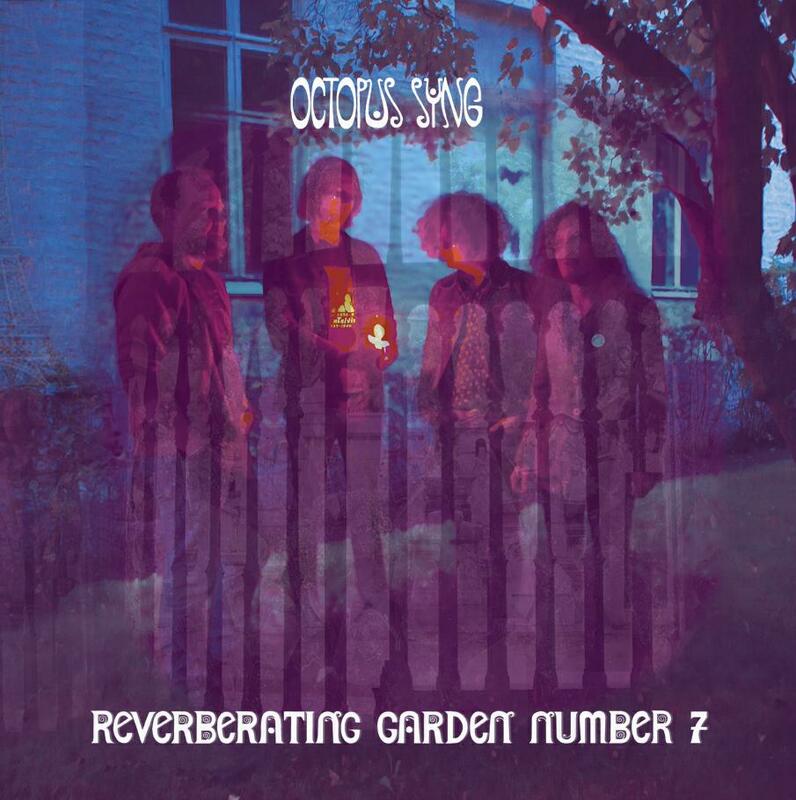 Yes, this is VERY Ozric influenced, but Spiralmaze really do it GOOD. This is powerhouse Space Rock and a potent album opener. Hwang Ho is a mind-bending blend of Trance and melodic but high power Space Rock, with swirling electronic patterns, tastefully ripping guitar leads and a steady paced but commanding rhythmic pulse. Spiralmaze veer into different territory on Remipede, with its Eastern influenced chants plus heavy Prog and Metal alongside rapid fire synth patterns. Myriad Small Creatures is a cool grooving, magic carpet ride Dub-in-space tune with speak-in-tongues Mullah chants. The Longest Day Parts I and II comprise one 13 minute track, with Part I being the dreamy soundscapes intro. Part II is a Trance whirling atmospheric Space Rocker with a cool sounding Space-Prog synth melody, deep space synth patterns, Reggae grooves, heavy driving Space Rock and more. It’s like a summation of everything this album is about. 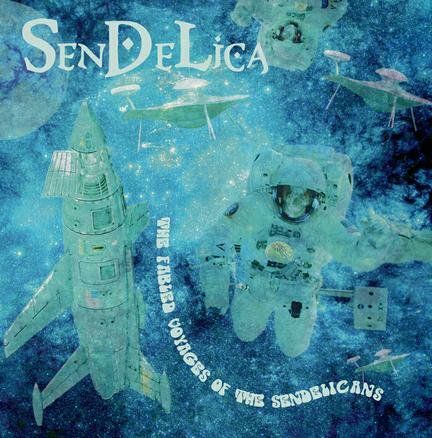 The album closes with the title track, one of the heaviest rockers of the set, featuring monster Ozrics styled Space Rock fused with crunchy Metallic rock, but is also tempered by more laid back accessible Prog melodic segments. In summary, this is one hot smokin’ album. Spiralmaze are crack musicians and a tight-as-a-knot unit. 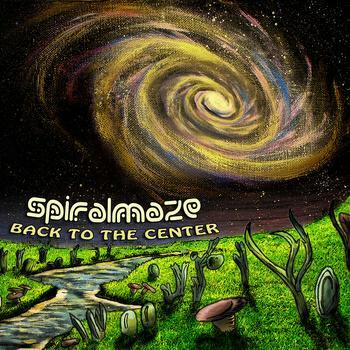 The Ozric Tentacles influence is overt, but Spiralmaze do it so damn good and they do take a number of interesting detours. Inside / Outside is the duo of Santa Rosa, California based musicians Russell Leach and Don Campau, who play a variety of instruments and electronics. Leach is new to me but Campau is a veteran of the homemade music underground and host of the long lived No Pigeonholes radio show, which celebrates homemade and truly independent music. 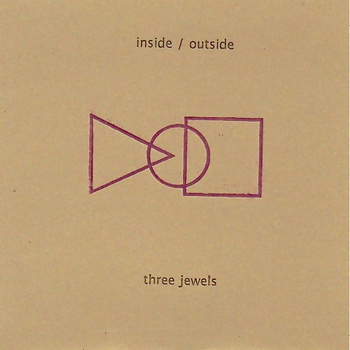 Three Jewels is the fourth Inside / Outside album and consists of an 8 part, 28 minute suite that is intended to be heard as a single piece. It opens with atmospherically cavernous drum beats, wood blocks, and scratch rhythms, soon transitioning to a light melody, effects, soundscapes and urban environment field recordings blend. The scenes shift quickly but seamlessly, gently spiriting the listener through an ever changing dreamscape. As of Part 2, we enter a beautiful ambient world music realm, with light percussion, pleasant effects, melodic acoustic guitar and spacey electronics, and from there the music becomes increasing ambient-psychedelic, though it’s all quietly understated, being dreamily meditative in a strangely yet engagingly sound experimental way. The spacey world music feel is never far away, and one of my favorite parts is when we’re treated to flowing chant vocals from Robin O’Brien. I also dig the psychedelically efx’d Japanese Koto oozing through a black hole segment, which bleeds into the cool grooving space rock world music finale. In summary, I enjoyed Leach and Campau’s brand of space-ambient, sound-exploratory world music, though don’t get hung up on the “world music” description, as it’s often as much a sensation as it is overtly noticeable as such. This is different. AsZension is the brainchild of Canadian multi-instrumentalist Kevin Thiessen. The idea: to fuse metal with progressive rock aesthetics, bound together by a glue of ambient space music and exotic ethnic soundscapes. Their latest album, Biosphere, opens with a track called Star Stream, beginning with the trippy twang of a sitar and some deep space drones. A female voice, wordless, singing in the distance enters the mix as the energy builds, till a stab of notes begin to ring in a circular pattern. Other instruments enter, taking the piece to the next level, as melodic keyboards weave mesmerizingly around metallic guitar riffing, creating a whirlwind, sonic spiral that launches the listener into AsZension’s vision of reality, or non-reality, as the case may be. Biosphere is AsZension’s second album, following their self-titled debut in 2012. Thiessen plays 7 and 8 string electric and acoustic guitars, synths and percussion, and he’s also joined on this album by Evan Arnott playing rhythm guitars, Gabriel Palatchi on keyboards, Etienne Girard on bass, Lee Campese on drums and Lana Benson on background vocals. There definitely is some metal influence on the album, evidenced by the edgy, staccato guitar riffs, particularly in the second song Elliptical Orbit, but to my ears AsZension is more about complex rhythms and superb interplay between guitars (whether they be acoustic or electric), and the keyboards (piano, organ and synths). So, the progressive tendencies outweigh the metal tendencies for me, and that’s not even to mention the ambient passages and exotic instrumentation which add a very spacey and psychedelic vibe too. Electronic pulses propel the third song Alignment along, leading to a softer middle passage with flute like sounds and exotic cadences, conjuring up images of lush alien gardens under purple skies hung with three moons. Dark, acoustic textures dominate Eclipse until the piece breaks out into a dazzling and funky organ solo, before taking on a much brighter tone, as if the eclipse has passed at this point, and the sun comes shining through. The centrepiece of the album, the four part title track (clocking in at 14-minutes) from its opening of drifting winds, acoustic guitar and twirling synths to its mellow, sailing off into a sea of imaginings finale (complete with crashing waves), covers just about all of what AsZension is trying to do here, each part flowing naturally and organically into the next, from hard edged guitar rhythms, to sumptuous and dreamy soundscapes, it’s all here. It’s like Tangerine Dream meets Ozric Tentacles meets Rush. 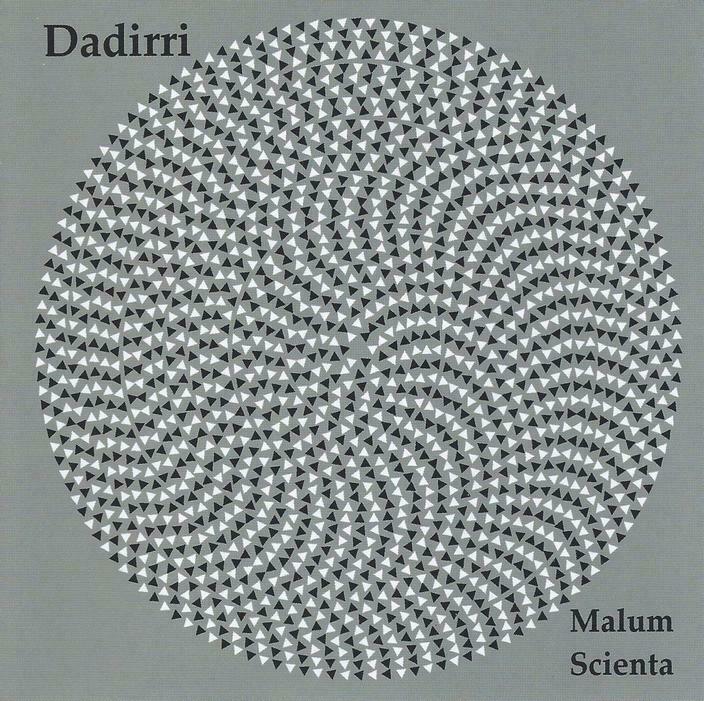 Rounding out the album is the metallic march of Spin Axis, the smooth glide and hallucinatory textures of Aural Illusions (which bely an underlying heaviness), and the final melodic waves of Hypnosis, that break spectacularly into a washing surf of heavy metal towards the end. On the final, bonus track, the band is joined by vocalist Geoff Ross on the sole song with words on the album. Here, AsZension let their love of Rush show through in a cover of Jacob’s Ladder (originally on Rush’s Permanent Waves album). The band does their own take of it though, with deeper electronic textures and soaring piano runs. It’s very cool! 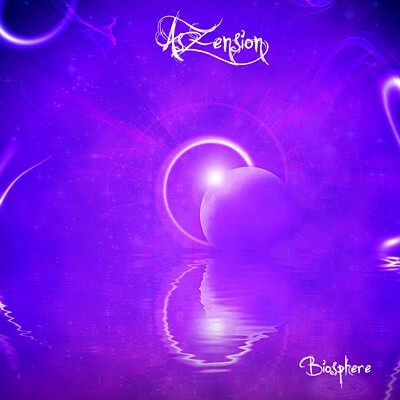 If you like any of the bands I’ve mentioned (AsZension also cites influences as diverse as Camel, King Crimson, Dead Can Dance, Steve Morse, Porcupine Tree and film score music), you’ll find plenty to like on Biosphere. It’s certainly one of my favourite albums of the year so far.